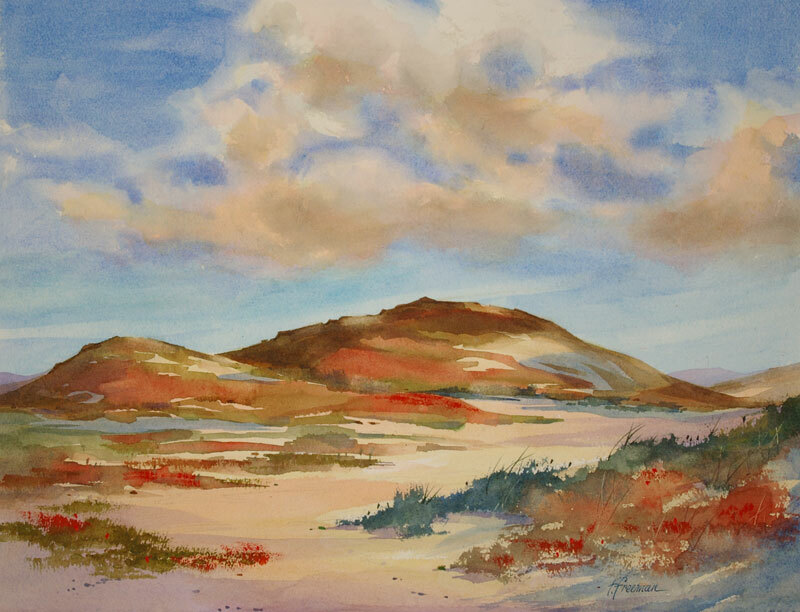 Thomas Freeman Original Watercolor Painting: "Monterey Dunes"
Driving back from Carmel, I was struck by the colors of the ice plant growing in the sand near Montery – red and green. I remembered the scene, and upon arriving home immediately sketched it out. I liked the sun breaking through the clouds.